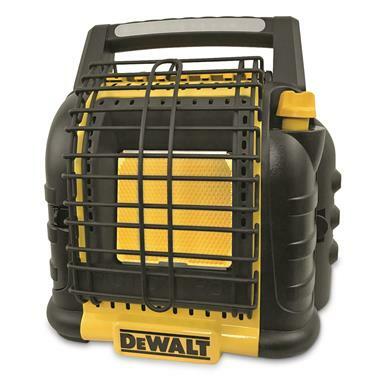 The perfect choice for portable, affordable warmth is the DEWALT Portable Propane Radiant Heater. Hit the push button start and the high speed fan will circulate 12,000 BTU to take the chill out of a 450 sq. ft. workroom, job site or hunting shack. Built-in ODS sensor and a thermocouple safety valve reduce the risk of overheating and fire. Three integrated USB ports keep electronic devices charged and ready. The heater operates off a 1-lb. propane tank (not included) or with a DEWALT 20V or FLEXVOLT battery. The heavy-duty exterior, integrated carrying handle and LED work light make it the easy choice to bring along anywhere you need heat, light and power together. 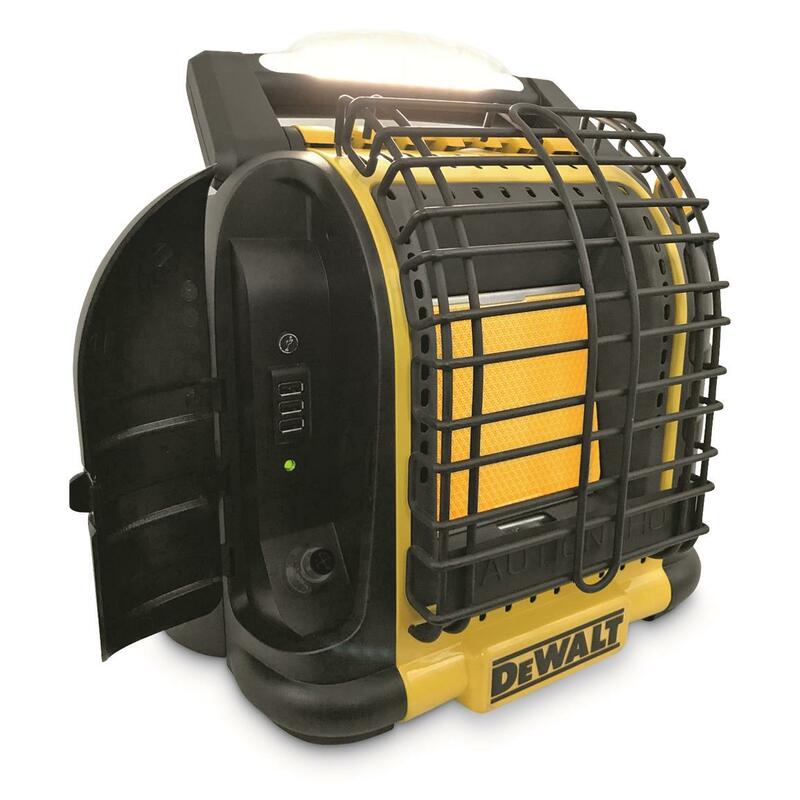 Push-button ignition starts the 12,000-BTU heater to warm up to 450 sq. ft.
Dimensions: 11" x 16" x 17" h.